Zimbabwe this week witnessed the historic visit by the Chinese President Xi Jinping, which hogged the global limelight. Zimbabwe and China have entered a new era of relations with Zimbabwe set to benefit from the friendship with the world’s second largest economy. However, the greatest lesson that zanu-PF can learn from our all-weather friends — the Chinese — is the way they dealt with corruption. As the ruling party, zanu-PF, grapples with corruption as one of its deliverables, it may be wise for the party to learn from the Chinese Communist Party (CCP) under the stewardship of Deng Xiaoping in the late 1980s. President Mugabe finds himself in the same predicament as several of his officials have made headlines for corruption. The Deng era is known in China as the period of reform and opening. It was a sensitive social and economic environment for the country and Deng needed great political skill and patience to get his reforms past hardliners in the Chinese politburo. Deng insisted the reforms kept the Communist party from being “toppled”. The CCP in 1982 reported that “serious crimes of smuggling and of selling smuggled goods by some cadrés, even including some cadrés holding certain leading positions, in Guangdong province” were being committed. In other provinces, municipalities and autonomous regions and in some central departments, there existed, to various degrees, serious breaches of laws and criminal acts, such as smuggling and selling smuggled goods, embezzlement and accepting bribes, thefts of large amount of state property, by cadrés, even including some cadrés in charge. Taking this into consideration, the standing committee proposed that “the whole party must grasp without relaxation this important problem that seriously damaged the prestige of the party and that had a bearing on the life or death of the Party and needed to be solved vigorously and severely”. In 1982, Deng Xiaoping, during a Politburo’s discussion, insisted that “if the CCP didn’t pay attention and resolutely check the trend of corruption, the party and State would face the problem whether to ‘change face’”? He was essentially alluding to the need for the CCP to transform its image or be removed from power by the masses. He made it very clear to the party faithful that “the corruption phenomena that seriously harmed social morality needed to be resolutely checked and suppressed”. The same sentiments were echoed by Chen Yun, an official in the CCP when he described corruption as “the capitalist corrupt ideology of ‘money judges that was seriously corroding the party work style and social practice”. The party had to “keep out and eliminate these ugly ideas and acts in the Party’s construction of socialism”. He stressed it was the job of party cadrés and of the local committees of disciples to invoke party discipline and administrative actions on whoever violated them. Relevant party organs were tasked with recommending prosecution for party members who transgressed the party code on corruption. These policy pronouncements on corruption by the party leadership marked a change in how the party tackled corruption and charted a new path for the CCP and the country. The CCP introduced a raft of measures to back its policy pronouncements. Those who had stolen from the State were urged to declare what they had stolen and restitute the State. Those who heeded this call would be spared from punishment and pardoned. However, those who ignored these calls would be pursued by the party and law enforcement institutions and naturally, severe consequences would follow for those found on the wrong side of the law. There would be a zero tolerance on corruption going into the future. Corruption even carried a death penalty in China. 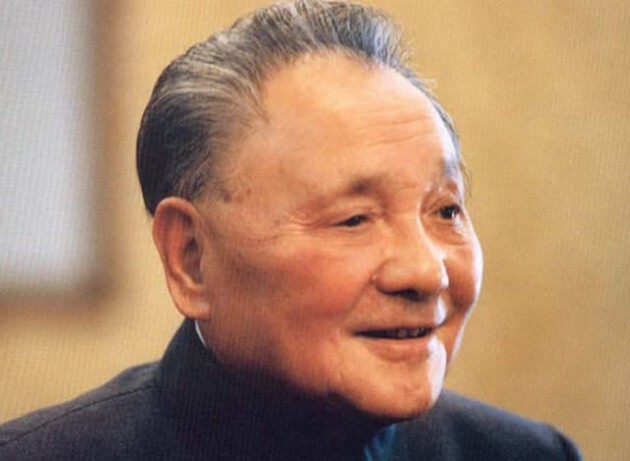 Deng Xiaoping ordered a purge of the military leadership in 1992 to intensify his transformation policies. This policy on corruption paid great dividends as the Chinese economy boomed. In the 18 years since he became China’s undisputed leader, he presided over an economic boom that radically transformed the lives of China’s 1,2 billion citizens. In cities and in villages, real incomes more than doubled in the Deng era. Indeed “most Chinese who have watched a television or used a washing machine or dialled a telephone have done so only since Deng came to power”. During this era there was a shift from “central planning and reliance on heavy industry to consumer-oriented industries and reliance on foreign trade and investment”. In 1982, “communes began to be dismantled and peasants were allowed to grow and sell produce”. The CCPs pro-poor policies became manifest as peasant farming was promoted. The zero tolerance policy on corruption coincided with economic success in China. These changes accompanied by a booming economy strengthened the CCP’s grip on power. The new anti-corruption image endeared the party to the masses. One can draw parallels between the zanu-PF of today and the corruption riddled CCP of that time. In an effort to eradicate corruption, zanu-PF has introduced but piecemeal anti-corruption measures which could further weaken the party. There seems to be a serious effort by the party to stamp out corruption as even State media seems to be exposing perceived culprits. Despite all this, no tangible action has been taken. Notable cases of corruption have been exposed since Zimbabwe got its independence in 1980 from the Willowvale scandal, the GMB scandal, the War Veterans Compensation Fund scandal, among others. Unscrupulous party officials have been involved in all sorts of illegal activities from mineral theft, maize scandals, poaching and most recently, receiving bribes. The recent salarygate scandal is the latest in a growing list of corruption scandals that have hit this country. Corruption has also negatively affected service delivery, a situation which has been compounded by illegal economic sanctions which have crippled Zimbabwe’s economy. zanu-PF needs to declare that those who “stole” from the state during the period of economic sanctions must restitute the state within a set time-frame or face prosecution. New standards of discipline and integrity must be instilled in the rank and file of the party. Those who comply must be rewarded by being spared from prosecution. President Mugabe must borrow from the resilience of Deng to deal with the issue of corruption in a manner that will both strengthen the party and the economy. This a matter of necessity as an expectant electorate is hoping for a change in fortunes for the country. Mlondolozi Ndlovu is journalist and a political analyst.